Even the most committed athlete can find it harder to get off the couch and exercise during the winter months. The temptation to hibernate indoors, bask in the central heating and eat carb-heavy casseroles is almost overwhelming, but it’s just as important to get outside and get moving during the winter months as the warmer ones. When the bad weather is giving you a case of the SADs, exercise can produce an instant boost to your mood. When you exercise, your body releases endorphins which trigger a feeling of positivity – that’s why it’s called the ‘runner’s high’. Exercising outside will also increase your levels of vitamin D.
Exercise can also help you weather the cold and flu season as it boosts your immune system and improves your lymphatic and cardiovascular circulation. Regular winter workouts will also make you less likely to incur injury than those that throw themselves into rigorous exercise come spring. If you’ve piled on the pounds over the winter this will put more strain on your joints, the knees in particular, so maintenance of both a healthy weight and ongoing exercise routine is always preferable. Take it indoors; swimming at your local leisure centre or gym can be a fantastic winter workout, as it exercises your whole body and improves the function of your hearts and lungs. Join a group; whether it is a class at your local gym or a running group, exercising with others can turn an unpleasant chore into fun and you’ll push yourself harder. Take up a seasonal sport; embrace the cold and try skiing, snowboarding or ice skating, whether on holiday or at one of the indoor ski slopes in the UK. Keep hydrated; you might not feel the need to replenish liquids as often as you do when exercising in the summer, but the body needs fluid levels to be maintained in the winter as well. Stay safe; avoiding injury is a must all year round and there’s some important rules to remember when exercising during the winter months. Muscles and the connective tissues are less elastic when cold and therefore more prone to tearing and incurring injury so always do a short warm-up before embarking on a workout. Be extra aware of your surroundings, particularly icy patches or slippery surfaces. A new study, recently published in the American Journal of Physical Medicine & Rehabilitation, looked at driving after a knee replacement procedure. Researchers in Germany found that a knee replacement on the right leg can affect the patient’s ability to make an emergency stop for over a month after their procedure. What was interesting was that they also compared patients who’d had a knee replacement on the left side and found that their ability to suddenly stop the car was also impaired. The study took 40 patients who’d undergone a total knee arthroplasty – half of whom had received a right knee replacement and half the left. In a driving simulator, using an automatic function, the recruits were tested both before the operation and four times in the year post-procedure. On each occasion, they performed ten emergency stop tests and researchers recorded the response time. In the first test after the surgery, performed eight days later, those who’d received right knee replacements were 30 per cent slower performing an emergency stop than beforehand. Those who’d received a left knee replacement only performed marginally better. What is a total knee arthroplasty? Consultant orthopaedic surgeon Mr Jonathan Webb specialises in treatment of the knee. Knee replacement surgery, also known as knee arthroplasty, replaces damaged bone and cartilage with an artificial joint with the aim of restoring function and relieving the pain that the patient may have been suffering with for many years. The knee joint is divided into three sections and during a partial knee replacement, Mr Webb will try to retain as much of your undamaged bone, tissue and ligaments as possible. This typically means a faster recovery, but if two or more areas of the knee are affected then a total knee replacement may be required. When is it safe to drive after a total knee replacement? For more information on all aspects of knee surgery please get in touch with Mr Webb’s private secretary or book a consultation at either the London or Bristol clinic. October 2015 saw the first sports injury conference held by Fortius Clinic. 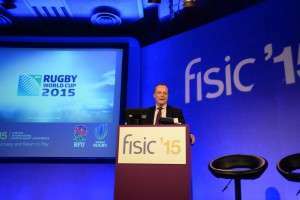 FISIC ’15 was a multi-disciplinary conference on the theme of sports injury. Timed to coincide with the Rugby World Cup and supported by World Rugby, the content was focused on rugby but had wider relevance, applying lessons learned in a range of sports to current rugby issues. With his background as an international rugby player, Jonathan Webb opened the conference alongside Brett Gosper, CEO of World Rugby. They covered the evolution of sports medicine alongside the changing face of Rugby Union. The expertise and dedicated treatment facilities available for all athletes have improved beyond recognition in the last 20 years. In the audience were 650 medical professionals with an interest in sports injury, there to learn from leaders in the field. The conference was aimed at orthopaedic surgeons, physiotherapists and sports and exercise medicine professions, as well as GPs for whom there was a separate programme in musculoskeletal injuries. The programmes had a broad appeal, and specifically included the opportunity to debate controversial issues. Blogs from each session can be found on the Fortius website (click here). In the opening session there was an interview between Jonathan and Will Greenwood, former international rugby player. Will contrasted his experience of recovering from injury whilst a professional rugby player with a more recent injury, sustained after he’d retired from competitive-level sport and had a ‘normal’ day job and family commitments to consider. As well as rugby-relevant subjects, the varied programme covered a wide range of topics, including joint specific sessions with more technical content, overviews of more specialist areas such as disability sport or the adolescent athlete, presentations of the latest science on muscle injuries & repair, bone health and cell therapies, and debates on the merits of PRP injections. The conference was very well received and heralded a biennial series of conferences held by Fortius Clinic, with the next one in 2017. Are there any risks if I choose to delay knee replacement surgery? Over time the knee joint becomes worn and damaged, as the cartilage that covers the ends of the bones and allows them to slide smoothly over each other as you walk, run or stand, starts to disintegrate. You may have severe pain, swelling and stiffness and easy movement is affected. Often patients visiting Mr Jonathan Webb’s knee surgery clinic complain that the pain is so severe that it is affecting their quality of life and makes simple, everyday tasks a trial. This condition is called osteoarthritis and affects most men and women over the age of 60 as part of the natural ageing process. However, it can also affect much younger patients, if they have a predisposition or have suffered an injury to the knee which has hastened the deterioration of cartilage. What does knee replacement surgery entail? Knee replacement surgery involves replacing the components of the knee joint with an implant. There are actually two joints in the knee – the tibiofemoral joint between the tibia and the femur and the patelllofemoral joint that joins the kneecap to the femur. These two articulations work as a hinge, which means the knee can straighten and bend, but also allows for side to side movement. It is possible to undergo a partial knee replacement that aims to retain any undamaged parts of the knee by using an implant to replace just one or two components of the knee. Another option is a knee osteotomy. This surgical procedure can be a more appropriate option for younger patients that are showing signs of damage in just one area of the knee. Either by removing or adding a wedge of bone to the tibia or femur, the aim is to shift body weight off the damaged area of the knee, preserving function for longer. Early diagnosis of osteoarthritis and the appropriate treatment can make a profound impact on your long-term mobility and quality of life. Remember, oestoarthritis is a degenerative disease, so will only continue to get worse if not treated. However, a knee replacement is major surgery that has a number of potential risks and can involve a significant period or recovery and rehabilitation. Many patients enquire if delaying knee surgery is an option. Another consideration, particularly for younger patients, is the longevity of the replacement. Statistics from Arthritis Research UK indicate that for 80 to 90 per cent of patients that have undergone a total knee replacement, the implant should last approximately 20 years. There are other surgical and non-surgical treatments, which will often be explored first, but they may only provide temporary relief and the long-term solution will be replacement of the joint. During your consultation with Mr Jonathan Webb, he will discuss all your options in full, including the benefits and potential risks, so you can make an informed decision about your future. http://www.mrjonathanwebb.co.uk/wp-content/uploads/2017/03/Jonathan-Webb-logo-revised-position-1.png 0 0 admin http://www.mrjonathanwebb.co.uk/wp-content/uploads/2017/03/Jonathan-Webb-logo-revised-position-1.png admin2015-10-26 19:30:092017-03-14 19:32:52Are there any risks if I choose to delay knee replacement surgery? For those desperate to shift the pounds so they can become healthier and more active, life can sometimes seem a vicious cycle. Increased weight puts pressure on the knee, causing discomfort, and wear and tear, meaning exercise can be too painful. Not being able to exercise, though, usually leads to increased weight and more pressure on the knee joint. New figures on joint replacement surgery for massively overweight patients point to the strain that obesity is causing the NHS. Eighteen thousand patients a year, who are classed as medically obese, require their hips or knees replaced; this is a fourfold increase since 2009 alone. Since 2009, the number of knee replacements carried out in the NHS in England has risen from 76,071 to 91,436, costing the NHS almost £600 million a year. However, for obese patients the rise in knee replacements has outstripped the national average, going from 3,787 to 15,188. Why does obesity affect your joints? The UK is classified as one of the most obese countries in Europe, with over a quarter of adults recording a BMI that puts them into the obese category. If you were to name a health problem associated with obesity, then you might think diabetes or heart disease and it’s true that these are common health conditions that are linked to being massively overweight. However, arthritis is actually a more likely outcome of carrying too much weight. Arthritis is caused by the breakdown of cartilage in the joints and there are many factors that can contribute to its development. However, it’s an undeniable fact that the more stress you put on the joint, the more likely that you will damage the cartilage; every pound of excess weight translates to four pounds of extra pressure on your knee. Fat itself can also cause problems, not relating to the pressure the extra weight puts on your joints, as it can cause inflammation, a common factor identified in the development of arthritis. Carrying excess weight actually seems to be even more damaging to the knee than the hips; arthritis of the knee is a more common problem for obese patients than arthritis of the hip. Knee replacement surgery is an effective procedure for those who are struggling to perform normal activities, but the longevity of knee replacement surgery is currently pegged at 15 to 20 years as long as the knee replacement is not put under ‘undue strain’. As with much in medicine, not addressing the root cause of the problem means that often surgical solutions can only provide a temporary fix. Looking at alternative options, such as weight loss surgery in advance of joint replacement surgery, might be the answer to providing patients with the best possible quality of life. The drama and spectacle of the opening ceremony, the relief of England opening the competition with a win against Fiji, the shock and awe of Japan’s showing against the mighty Springboks; this World Cup looks set to be a fantastic display of world-class rugby and it’s a good time to take a look at rugby injuries for both the professional and weekend warrior. Since the game turned professional in 1995, players at every level have had to adapt to a more demanding game to avoid injury; many studies have pinpointed the increase in injuries, the higher the standard of play. Rugby is a full-on contact sport, so there are a number of potential injuries that can be incurred during a match, from the thigh, hamstring, head, neck and the knee. Although the knee is not necessarily the most common injury in rugby it is certainly among the most serious in terms of time out of the game. We’re going to focus on injuries to the knee. 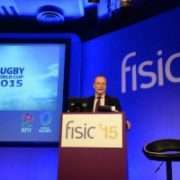 What are the most common knee injuries incurred during rugby? The most common knee injuries are damage to the ACL, the Anterior Cruciate Ligament, and the MCL or Medial Collateral Ligament. Both of these injuries result in lengthy time out periods from play or even force full-time retirement from the game. The ACL is the main ligament that connects the thigh bone to the shin and the MCL is found on the inside of the knee. These ligaments work together to stabilise the knee, particularly from abrupt side-to-side motions. Injuries to the ACL and MCL are usually a result of falling awkwardly in a tackle as the knee moves in an ‘unnatural way’. The ligament becomes overstretched and ruptures – often players report a loud popping noise. The knee will usually start to swell as blood vessels have also ruptured, but once the swelling has gone down the knee may feel relatively normal but as soon as it is put under pressure, as in a game scenario, it will often feel unstable and ‘give’. How do we grade ligament injuries? When players present for assessment of the knee ligaments we grade them depending on our physical assessment and their reporting of side effects. Grade one; the player will report mild tenderness in the knee area, but there is usually very little swelling. This means there has just been a minor tear in the ligament fibres. Grade two; the knee joint feels less stable when it is rotated and there may be more tenderness all around the knee and swelling present. There is more extensive damage to the ligament fibres. Grade three; the knee is very unstable, there is a lot of pain rather than tenderness or discomfort and a large degree of swelling. This points to a complete rupture of the knee ligaments. If the player has a grade three ligament injury then there are a number of treatment options including ACL reconstruction surgery. For more information on knee treatment options, get in touch to book a consultation at either Mr Jonathan Webb’s Bristol or London clinics. When can I play again? The recent high profile injuries to players preparing for the Rugby World Cup highlights the vexed question of when can I play after an injury. Rupture of the Anterior Cruciate Ligament remains a significant knee injury but with modern techniques of surgery and rehabilitation there should be a high expectation that players can return to the field of dreams. Whilst there are plenty of tests and measurements that can be made to ensure that muscle strength is recovered and movement of the joint is back to normal, there is as yet no specific test that says you are safe to return to playing matches. By and large, athletes will be performing at a very high level from around four months onwards following ACL reconstruction but whilst everyone wants a specific date, the answer as to when you are ready to play is when you are ready! Experienced physiotherapists will have the best idea as to when the player is performing without any obvious inhibition from their knee, but one of the things I tell all of my patients is that they have to be honest with themselves and to be at a point where they no longer think about their knee when they are training and performing in match type situations. To my mind this is the body’s intuitive signal that the risk of re-injury has returned to the lowest possible level. Get in touch to book a consultation at either Mr Jonathan Webb’s Bristol or London clinics. http://www.mrjonathanwebb.co.uk/wp-content/uploads/2017/03/Jonathan-Webb-logo-revised-position-1.png 0 0 admin http://www.mrjonathanwebb.co.uk/wp-content/uploads/2017/03/Jonathan-Webb-logo-revised-position-1.png admin2015-09-25 19:19:212017-03-14 19:21:15When can I play again? Is running really bad for you? There is a bit of a myth about whether running is bad for you. If your joint is healthy and has never had an injury before then, provided you are fit and strong enough, running is good for you. All joints work better when they are being used. The shock absorbing lining of the joint receives nutrients as a consequence of the compression and relaxation effect of any weight-bearing activity. If your knee joint has had an injury however, then you just need to be a little more careful. It would appear that the type and volume of impact work that you do following any injury to a knee such as damage to your meniscus or to the lining of the joint can have an adverse impact. Having said that, there is a world of difference between running in properly fitted shoes on a treadmill for ten minutes at a time, right through to the opposite extreme when you play eighty minutes of football or rugby on a hard pitch. There is no question the latter is far more stressful for your joints than the former. In other words, subject to the support of your treating physiotherapist or orthopaedic knee surgeon, running can still be helpful at keeping your muscles strong and your weight controlled. Both of these effects may far outweigh any potential for aggravating your injury. An injury doesn’t always mean the end of your running career! If you have suffered a knee injury that is impacting on your ability to exercise or play sport, then book a consultation at Mr Jonathan Webb’s Bristol or London clinics. http://www.mrjonathanwebb.co.uk/wp-content/uploads/2017/03/Jonathan-Webb-logo-revised-position-1.png 0 0 admin http://www.mrjonathanwebb.co.uk/wp-content/uploads/2017/03/Jonathan-Webb-logo-revised-position-1.png admin2015-09-22 19:16:342017-03-14 19:18:55Is running really bad for you? Jonathan was invited to take part in a series of informal interviews at The Ivy Club, Soho, by Dr Harry Brunjes. The evening raised over £640 for The Injured Players Foundation, and it was great to see so many familiar faces, as well as meeting people interested in finding out more about Jonathan’s career. Jonathan played for England in 33 test matches, scoring a total of 296 points before he called it a day in 1993 to pursue his surgical career. On the evening he offered plenty of insights and anecdotes into the struggles of balancing two full-time careers and the audience enjoyed asking questions and seeking his opinion on the modern game. We hope to be invited back! Jonathan is a founding member of the Fortius Clinic, an orthopaedic and sports injury clinic in central London. This October Fortius are holding the Fortius International Sports Injury Conference (FISIC), at the Queen Elizabeth II Conference Centre in Westminster, at which Jonathan will be speaking. The conference is aimed at orthopaedic surgeons, physios and sports and exercise medicine professionals. Running alongside the main conference is an allied GP programme, for general practitioners whose practice is not sports injury focused but who see recreational sportsmen and women. FISIC will cover all aspects of sports injury over the two days, with knee, foot & ankle, shoulder, elbow, hand & wrist, spine, hip & groin sessions, as well as sessions on arthritis in sports, cell therapies, bone health, disability sports, rugby sessions and a session on the adolescent athlete. If you would like to find out more please visit the website – www.fisic.co.uk – or call the marketing team at Fortius on 0203 195 2434.